The countdown is on, with only two weeks left to register your participation for this year’s Intersport Townsville Triathlon Festival. The annual event will be held in August (19-21) Many Townsville businesses have been getting behind the festival, registering their employees to join in the TP Human Capital Teams event. 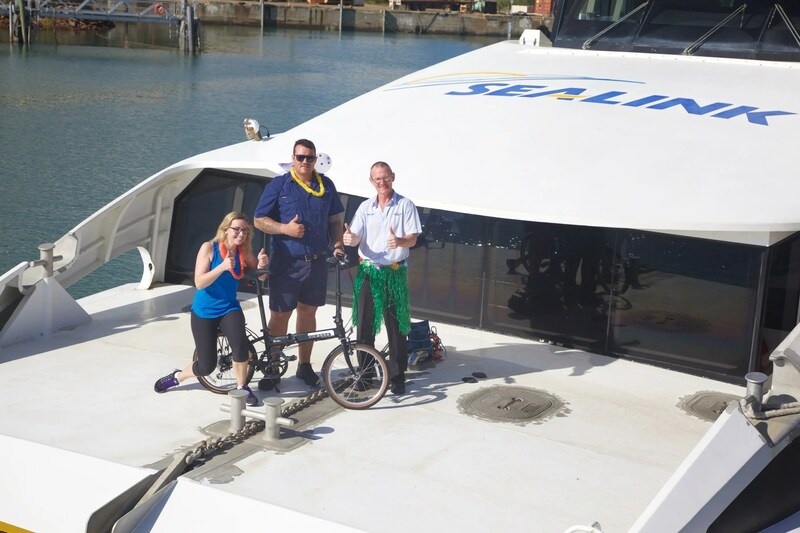 One such business – Sealink – has registered three teams for the TP Human Capital Teams Triathlon this year. We popped down to see Marinde Marsman, HR Co-ordinator with Sealink. “The event is a really good opportunity for employees to get involved in something different, have fun and a great opportunity to team build” Marinde Marsman, HR Co-ordinator, Sealink. Event vice president Clayton Cook said there was still time to register and train. “This festival is for the beginners right through to the more serious athletes – there really is an event for every fitness level,” Mr Cook said. CLICK HERE TO REGISTER OR FIND OUT MORE ABOUT THE TP HUMAN CAPITAL CORPORATE TEAMS TRI!